Have a Happy New Year Dennis!! Looks Like all the ships are anchoring down for the winds. 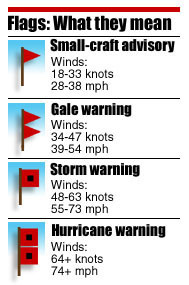 Over 40 knot gusts on the most Superior Lake. Dennis, Happy New Year! Thanks for your work on this site. It's a pleasure watching the harbor and boats from southern MN. that must be a sight to see 4 of the larger ships anchored off the Duluth pier all at the same time!! Thanks Tim, there should still be some interesting shipping scenes, although with the cold weather, cameras might be a bit intermittent. The boats were all taking shelter from the strong winds. They will get going today now. I am landlocked in MO, but have been a visitor to the Great Lakes and Duluth. I am thrilled to have found the webcam so I can watch the ships coming in! I had just watched a special on Smithsonian about the Paul Tregurthra, so it was very exciting to see it coming in. I want to thank you for all the work you do to keep the webcams online for us "less fortunate."